Quick manufacturing with process stability – that’s what it's all about. This can be done without any new investments, machine changes or tool changes whatsoever with the new furniture connector systems from Häfele. On the one hand, the Ixconnect SC 8/25 and SC 8/60 spreading connectors for small and large furniture items, the associated rear panel connectors and the innovative TAB 15 shelf connector impress with extremely simple panel processing such as with wooden dowels, and on the other hand with impressive holding power and furniture aesthetics. The completely invisible SC 8/25 spreading connector was therefore awarded with the highest accolade at the interzum award 2017, the “Best of the Best”. “Easiness. Engineered by Häfele“ – this motto is a program, because Häfele fitting technology is developed with the goal of making life easier for manufacturers and consumers. 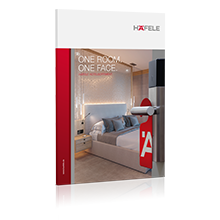 Häfele is setting new standards on the market for furniture connectors with the innovative products for the Easiness connector system on the basis of the usual processing standards. The two spreading connectors are non-sensitive to tolerances and upgrade the appearance of the furniture. They are inserted into 8 mm standard drill holes. The TAB 15 requires a 15 mm surface drilling at the edge. Compared with the complex drilling patterns which are normally required (e.g. 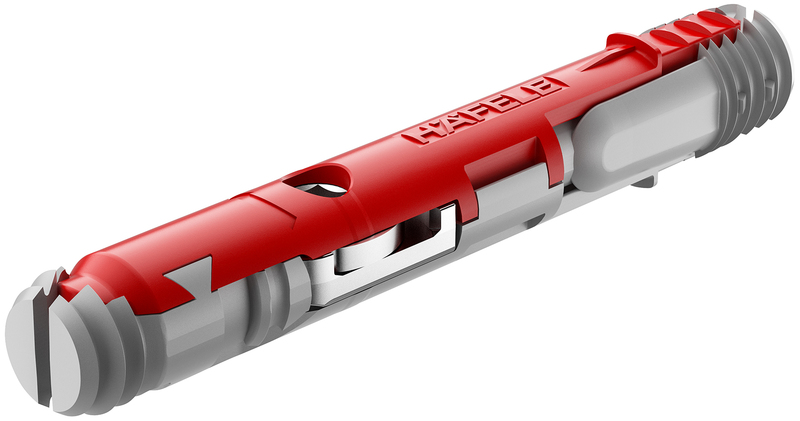 T-slot recesses), Häfele reduces lead times, increases tool life and ultimately reduces the process costs for its customers in this way. The one-piece connectors make problem-free pre-assembly possible. This reduces the installation time and cuts down the number of usage errors when the furniture is being built. After installation, the interzum award winner is completely invisible, and therefore upgrades the appearance of the furniture in comparison to conventional solutions. The SC 8/25 connects furniture without tools by pressing together, and can be used for all panel thicknesses of 15 mm and above. 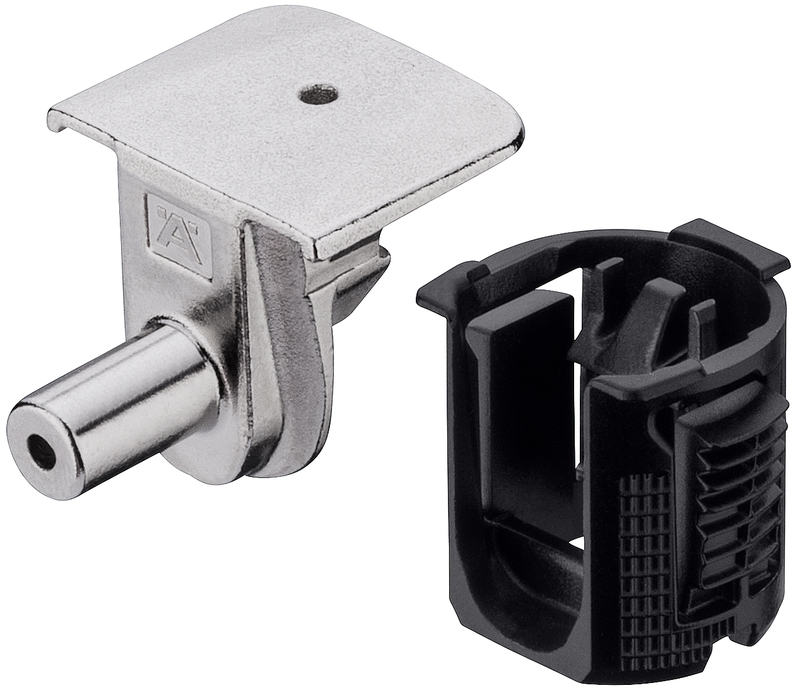 It can be used in conjunction with the RPC G 13/20 rear panel connector for push fitting into the groove, which is also fitted without tools. It is used to secure the rear panel or acts as vibration protection for wooden drawer bases. Thanks to the installation at the rear, the connector is invisible from the front. 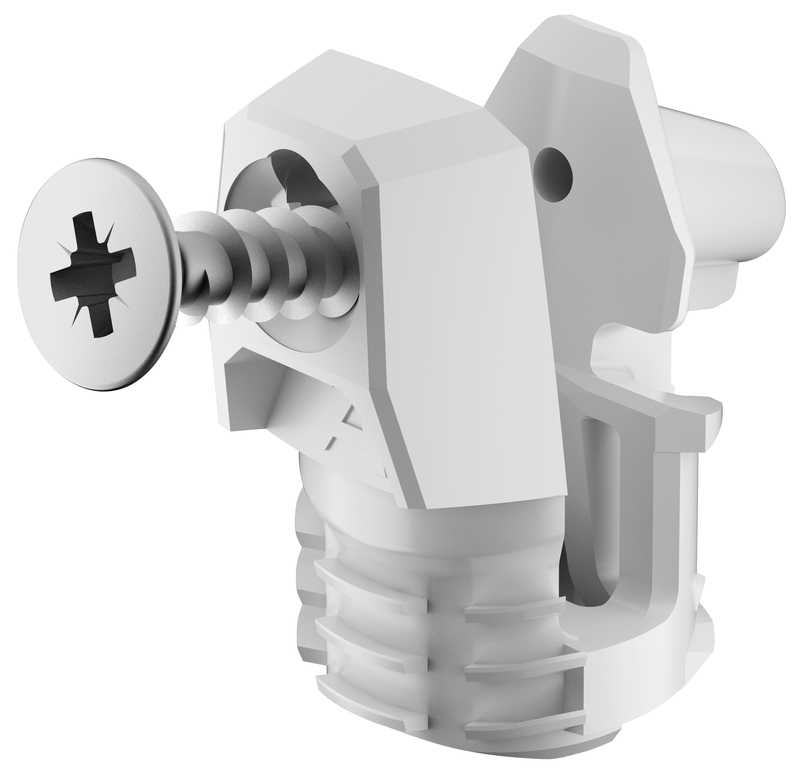 With the one-piece spreading connector SC 8/60 for bigger furniture items, Häfele has an innovative fitting which can be fitted almost invisibly by means of a 180° rotation of the tightening screw using a hexagon socket. The drive is accessed via a filigree 6 mm surface drill hole. The SC 8/60 also has stability advantages. The furniture can also be disassembled at any time. The associated rear panel connector for screw fixing is inserted into the groove beforehand, and initially acts as a welcome guide and assembly aid for the rear panel, which is still unstable. With this connector, even large furniture items can be easily assembled in the upright position by conveniently screwing on from the front. When the screw is tightened, the rear panel pulls itself forward and gives additional stability. 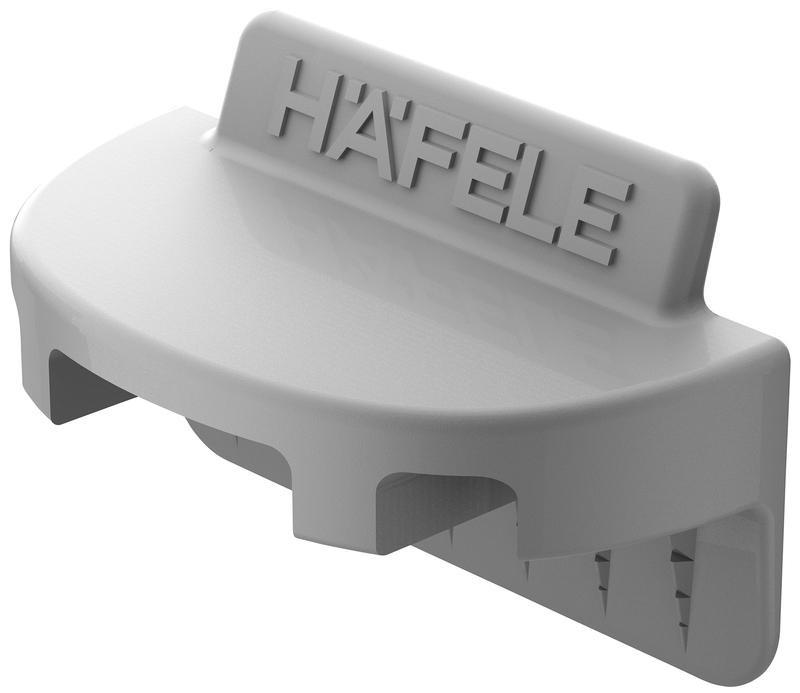 The patented TAB 15 shelf connector resulted from Häfele development together with customers. The TAB 15 is plug fitted without tools or screw fixed depending on the structural requirements of the furniture. It fulfils the demand for a high degree of load bearing capacity and angular stability, and also the capability of securing the shelves for transport and offsetting in series drilled holes without causing hole damage. In this sense it is a little technical marvel which combines minimalism and stability. 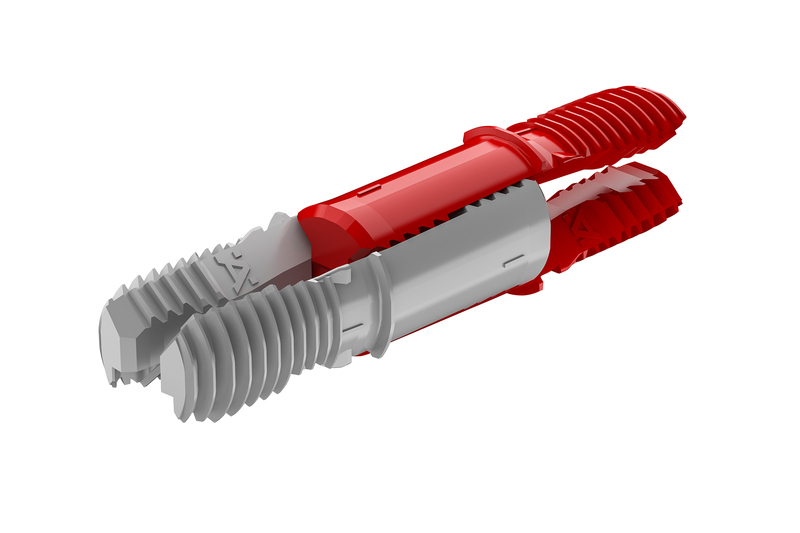 The first reference customers have already successfully implemented these new connectors in fully automated manufacturing. All of the connectors of the Easiness system are products which have been tested and certified in accordance with the German standards for outstanding product safety and consistent quality and are manufactured in the Häfele Berlin plant. With their minimalism and more or less invisible installation, they fulfil the increased design requirements of the furniture industry in a special way. Furthermore, end customers will be thrilled by the quick and easy assembly – more good arguments in favour of the use of Häfele connector systems. Invisibly installed without tools, the Ixconnect SC 8/25 spreading connector from Häfele for lightweight furniture. Rear panel connector for plug fitting for small furniture, the ideal companion for the Häfele SC 8/25 spreading connector. The Häfele SC 8/60 spreading connector for bigger furniture items. The new rear panel connector for screw fixing from the front is intended for large furniture items. It provides stability, even during furniture assembly. The new filigree Tab 15 shelf connector was created in collaboration with customers from the furniture industry. It is available for plug fitting (pictured here) as well as for screw fixing.